ECTmmo.com- MMO Blog: The Adventures of Kaozz...: Sweeet! Mrs. Freshley's Gifts! 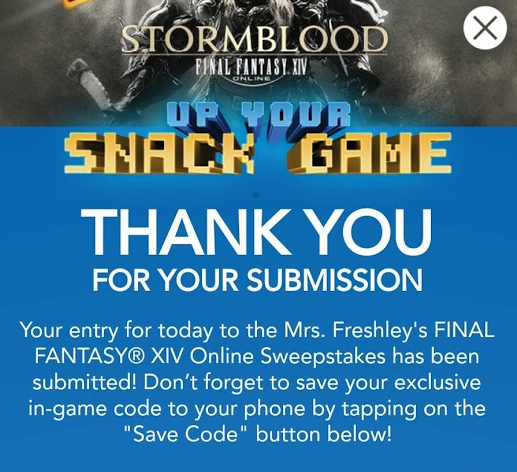 Today we received two very yummy, filled to the brim, complementary packages from Mrs. Freshleys! I couldn't believe how many sweets were stuffed into those boxes. So many sweet treats, they are yummy, so hard to resist. I am really tempted by those chocolate cupcakes (watch the calories on the buns though!)! 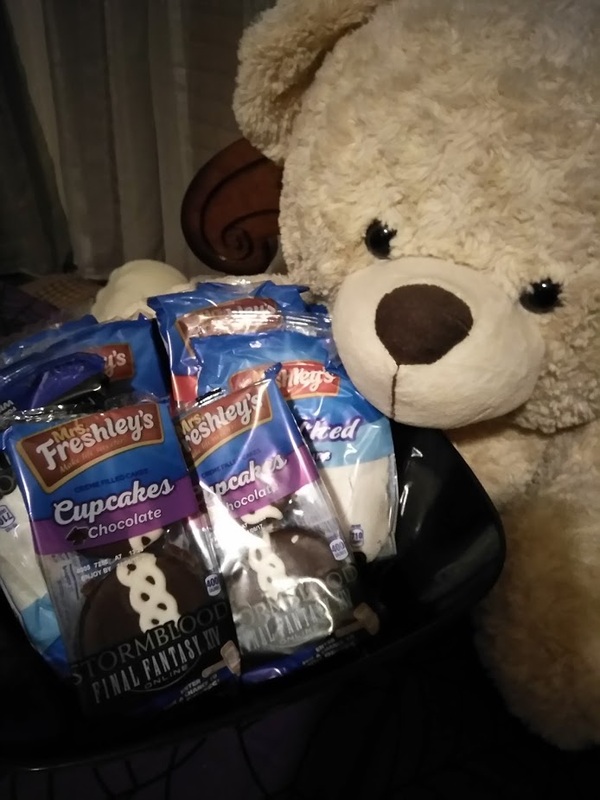 I mentioned to Dire we could send a bunch to work with him to share these and he's wanting to take just a few... I think we're in trouble! My son was the one to grab the packages at the door for me, I asked him to grab it because I had books coming today. When he saw that the big packages were not books but snacks you should have seen the look on his face, and game codes?! He's in his 20's he can afford the calories, lol! It was a nice surprise indeed. 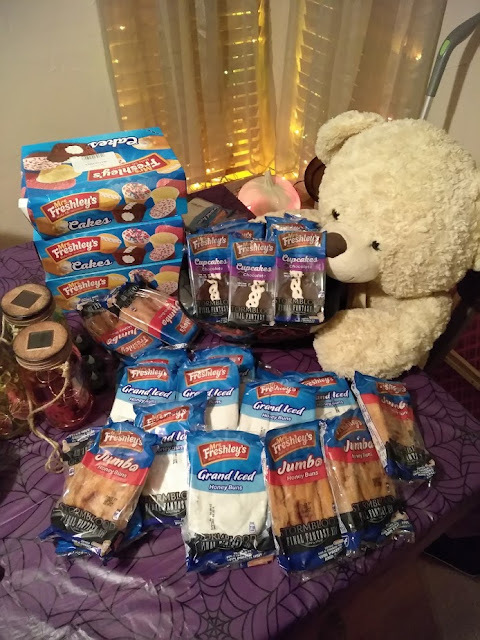 I want to thank Mrs. Freshley's for reaching out to me and sending us all these goodies! 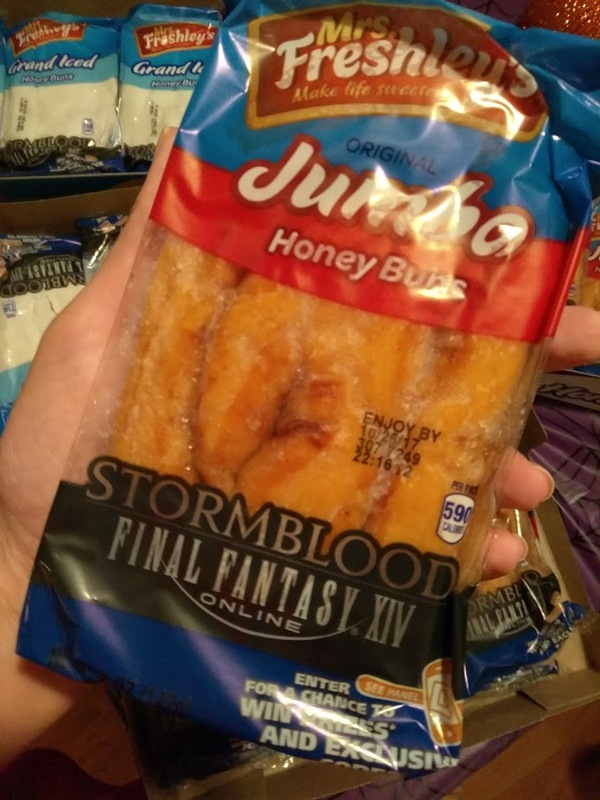 These are sweet in more than one way though, each package comes with a 'code' for FFXIV Stormblood. How do you use it? Can't find the code? Simply use the BlippAR app to scan the item, you just hold it in your hand and that's it, it takes a picture and plays a cut scene, then it gives you a code as well as an entry to win prizes. When you scan the item, just hold it in your hand (the front facing the camera) there is no bar-code, aim and hold the camera there.You get am ingame code for a treat that gives a bonus to stats and xp in FFXIV. I wasn't asked to use the app but I wanted to see how it worked, it took only a moment to find it and use it. 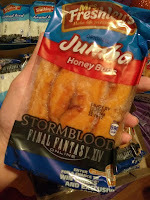 Very easy to do and you get a sweet treat for your character in game. So if you are looking for a sweet and tasty snack, grab one and get a chance for prizes! Yes there are prizes, you can enter daily by using the app. 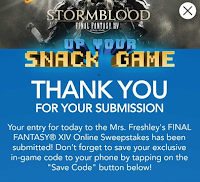 If you want to participate, the rules and more information can be found here on Mrs. Freshley's website, or here also on the FFXIV site. There is a chance to win tickets to 2018 Comic Con as well as some other nifty items, very sweet indeed! Now, I'm off to hide some of the honey buns before Dire gets home! Shhh!